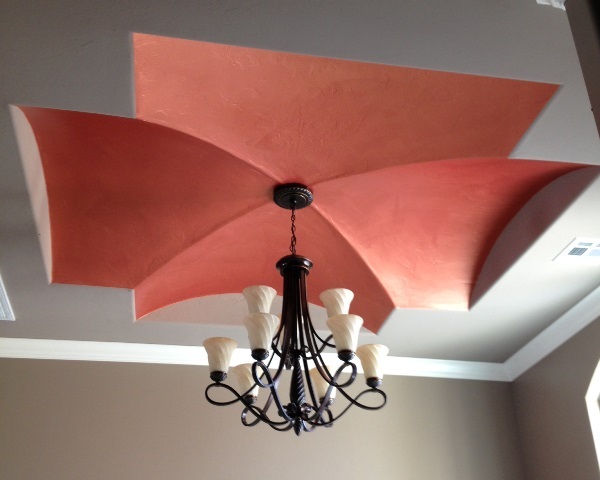 Whether you’ve just started to think about groined vault ceilings or possibly other decorative ceilings, you probably have a few questions. I can certainly help clear things up for you. 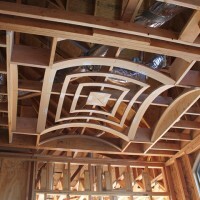 In this post, I’m going to specifically explore the groined vault, but if you’re wondering about any other type of ceiling, feel free to browse our website or blog. There’s a ton of helpful information, pictures and how-to videos that will give you all the information you could ever need… and probably a little more (we’re thorough like that). What is a groined vault? Are there other names for groined vaults? 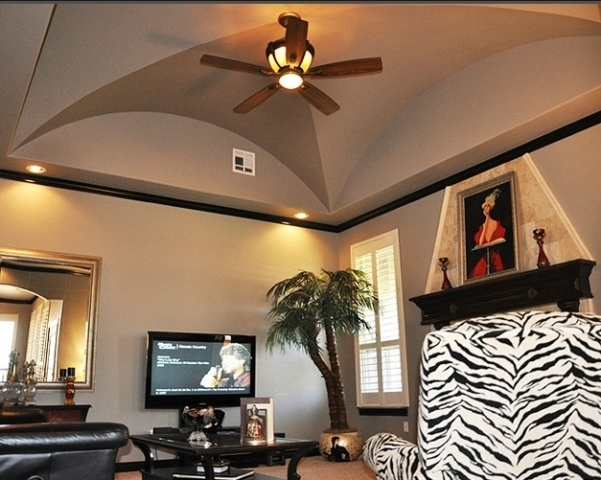 Are groined vaults appropriate for residential homes? 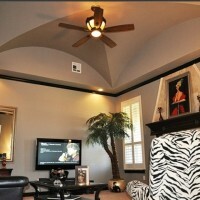 Does your floor plan naturally lend itself to add a groined vault or is there a better alternative? Question 1: What is a groined vault? 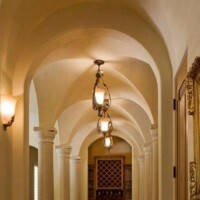 Simply put, a groined vault is a type of decorative ceiling that is made of two intersecting barrel vaults. Stop. Read that one more time. Most people shrug their shoulders and miss this concept. It’s quite easy to do as most groined vault pictures don’t show the barrel vaults leading up to the intersection. Most pictures simply show the intersection and most people fail to make the connection. While it’s a basic concept, understanding this will open you up to other potential possibilities you’ve might have missed. 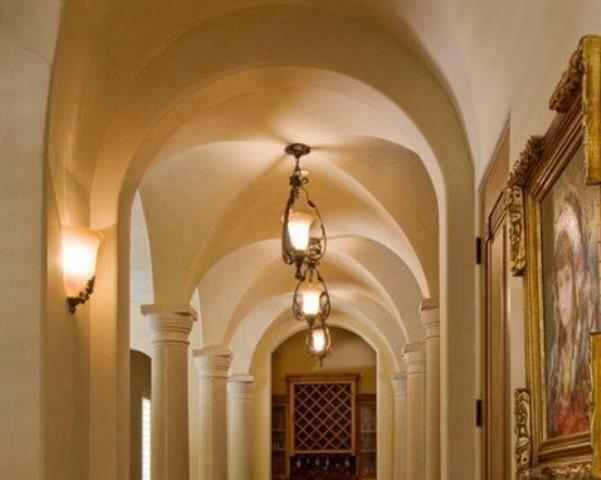 For example, if you had an L-shaped hallway, you could barrel vault each each portion of the hallway and use a groin vault to seamlessly connect them. Question 2: Are there other names for groined vaults? Ah, good question. The answer is yes and this could’ve become confusing. Why groined vault ceilings have so many different names is beyond me. A groined vault is commonly called a groin vault, but it can also be called a groin ceiling, cross vault, groin arch or a double barrel vault, for obvious reasons. There is also a slew of other variations to these, but the bottom line is that once you can identify a groined vault, then if you come across another name like “groin arch” you can add them to your list of names. Question 3: Are groin vaults appropriate for residential homes? Indeed, they are! 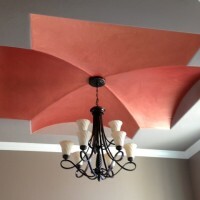 While they have a rich historical past dating back to the medieval times, specifically in Europe and Rome, groined vault ceilings are becoming extremely popular in both new residential construction and in remodels. Wait! Before you say, “Yeah, but only in million dollar homes”, you should know that we’re seeing them in 2nd time home buyers homes. You’re correct that you’ll probably see them in starter homes, they’re however, becoming integrated into 2nd time home buyer homes. Why? Competition is tight and home buyers have already come to expect granite counter tops, open floor plans and lots of storage. 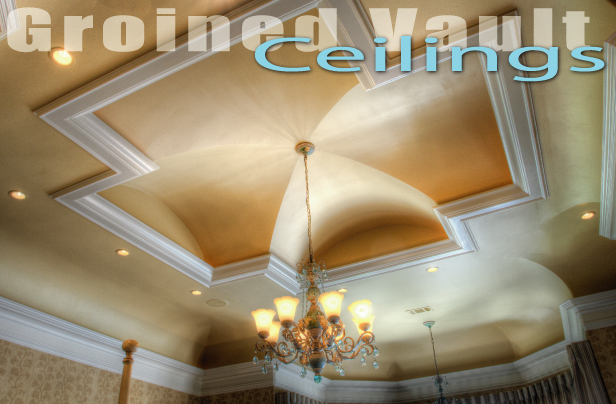 While these are givens, builders and remodelers have begun to focus on the often forgotten fifth wall (aka the ceiling). While this led to the incorporation of groined vaults into residential homes, the main reason, is that they’ve become affordable (more on this later in Question 5). Question 4: Does your floor plan naturally lend itself to add a groined vault or is there a better alternative? Oh, how I’ve worked with so many people who’ve tried to force a groin vault into a floor plan that just wouldn’t work. 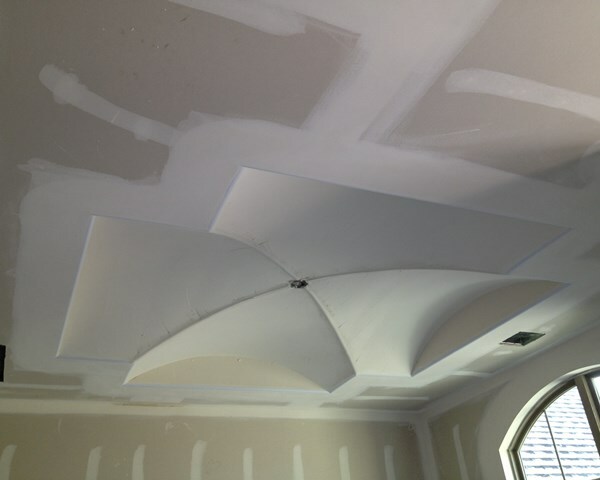 Groined vaults are a bit picky on placement given their design, and they don’t always lend themselves to all floor plans like our other decorative ceilings do. It’s not as simple as saying that you want one in your entryway or dining room. I think the best way to explain this is understanding that a groin vault tear drops into each corner with it’s highest point a cross through the apex. 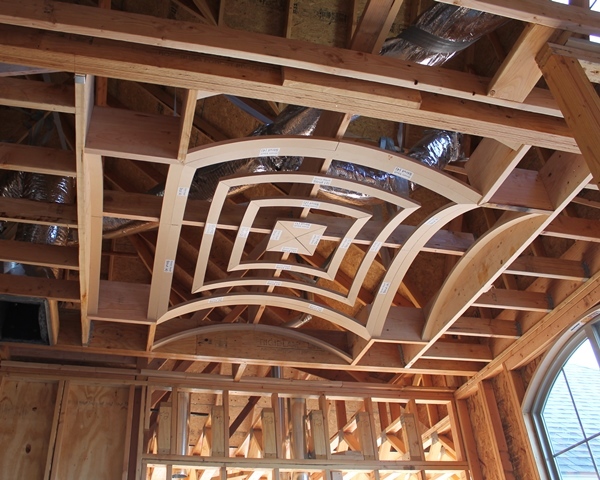 What this means is that your ceiling height and your desired location relative to it’s placement near an exterior wall and it’s roof pitch will often limit or exclude a groin vault from a plan. 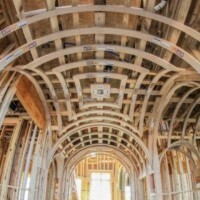 If a groin ceiling has already drawn into your plan by your architect, then you’ll probably be fine, but if you’re wanting to add a groined vault, it would be best to talk to one of our ACEs (Archways & Ceiling Experts) to make sure that it flows and looks natural given your floor plan. At the end of the day, while you’ve might of had your heart set on a groined vault, a dome ceiling or cove ceiling might work better. By talking with us, we can help you avoid pitfalls and show you possible alternatives if your floor plan does not naturally lend itself to groined vaults. Question 5: How much does a groined vault typically cost? Depends on the size. I know this wasn’t the answer you were looking for, but depending upon the size of your groin vault will determine the cost. I don’t want to keep you hanging, so you can visit our groined vault page and get an idea given our Universal Groin Kit price. What I can tell you for sure is that it’s much more affordable, less skill dependent and less time consuming to have us build a prefabbed groined vault versus having one built onsite out of traditional lumber. Using the link above, you can download our “How-To” measure instructions and then either call us toll free at 855-ARCHPRO (855-272-4776) or emailing us at Sales@ArchKit.com. Happy groined vaulting! I hope you’ve found this helpful. If you have, then do me a favor and please share, give me a Facebook like or Google+. Matthew Scott, aka Handyman Matt, grew up in the construction industry. Due to his experience, he became the creator of Archways & Ceilings' online educational program called "Get ACE'd with Handyman Matt". 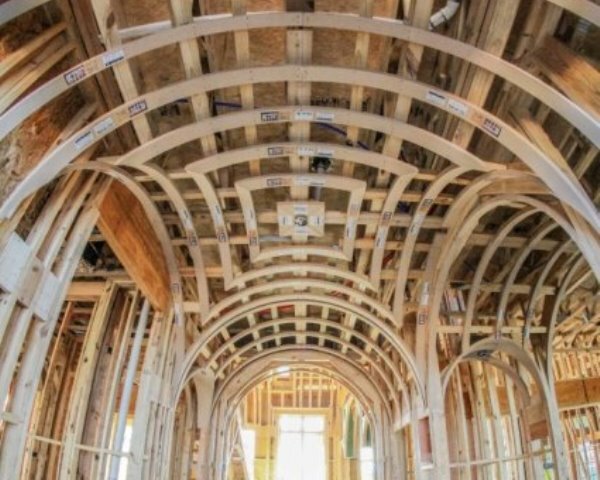 The ACE (Archways & Ceilings Expert) certification program has helped builders, contractors, retailers and reps successfully design and build archways and curved ceilings into their projects. 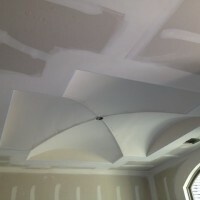 So, if you've gotta a project and are hesitant about a arch or decorative ceiling... don't be shy he'd love to help.